It’s time to get an updated list going for the best controllers for PC gaming! It’s 2017 now and the market for controllers has changed quite a bit. 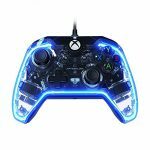 Afterglow Xbox One Controller For PC, Does It Work Well? The Afterglow Xbox One controller is a great controller, especially for PC players. From changing colors to mapping extra buttons, it’s definitely worth buying! Although it doesn’t have a specific software to customize it like it does on the Xbox One, it’s still an awesome gamepad to go with your PC. So I got my hands on Valve’s Steam controller which is supposed to be the all-in-one solution for the PC controller. Surprisingly, it’s a nice controller! I was only surprised because after watching many YouTube videos I’d hear two sides of the story. Half of the users didn’t really like how it felt while using it and the other half absolutely loved it. I pre ordered the controller in late October and got it in the mail earlier today. I’ve been using it all day with Fallout 4 and although it isn’t the 100% perfect solution, I definitely don’t regret picking it up. 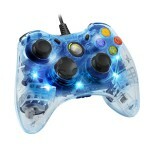 Afterglow Xbox 360 Controller For PC, Is It Worth Picking Up? I’ve actually been using the Afterglow Xbox controller for PC for a few years now. There are some cool features with it that makes it worthy of its current price point! I hope you find this post helpful, that’s my aim here since I have had a ton of experience using this controller with many different games!